The following is a continuation of my personal journey through John. Originally, from the beginning, life was found in the λογος, Christ. Further, Salvation is found in Him. He came to this place corrupted by sin and operated as a The Light to both reveal our sins, and save us from our sins. The powers of this world could not overpower it. Good stuff. I love the Bible and the Gospel of John. Building upon yesterday’s post; I am still so amazed by the Gospel of John. So, here Christ was not only with God in the beginning of this reality. There was not a single component of this reality that came into existence without Christ creating it. This indicates that God is ultimately in control. Here’s my prayer. I love the Bible. I truly believe it is living and active, sharper than any two edged sword(Heb4:12). The Bible transforms lives. One of my favorite Books of the Bible is the Gospel John. This simple verse so profound that understanding it will marks your life forever. At the point which time as we know it began was the Word (λόγος in the greek) and the Word (λόγος) was there with God, and Word was (λόγος) in fact, God. To is earth-shaking concept! It was very important to the greeks Λόγος, was a very important concept in Hellenistic culture, as explained by many scholars (like this one). In a very dualistic culture John is laying it out up front that there is no separation between God and Christ. Ιn fact this λόγος the ultimate knowledge, is God. And oh by the way, God is Christ. 3364 λόγος (logos), statement, that which is said, speech, the act. of speaking, gospel, the content of what is preached about Christ, treatise, systematic treatment of a subject, Word, Message, a title for Christ, reason, a cause for something. The Almighty Maker of Heaven, and Earth is God and God is Christ. They are not separate. He who made humanity from the dust of the earth and breathed life into us is the same loving God who sent Christ and created a way for redemption . WOW! Rich stuff. Thank you Dr. Stevens for teaching Greek. 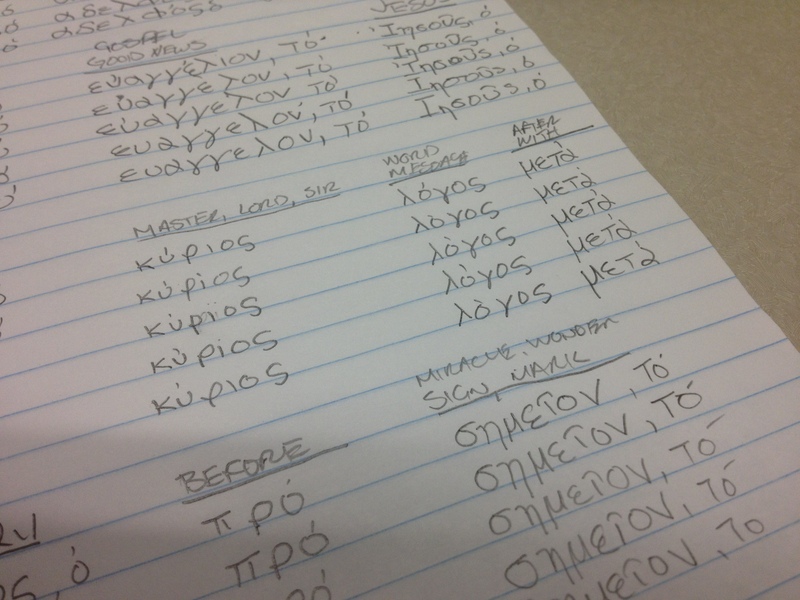 I am studying Greek this semester, and I pray the original language deepens my love for the scripture. 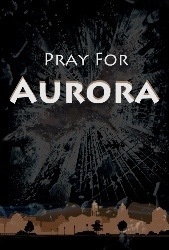 Last night at the premiere of the new movie The Dark Knight Rises, in Aurora Colorado there was a terrible incident. Early reports indicate that someone fired multiple shots during a midnight screening if the film. There are several victims. Many people died during this tragic act.